I’ve been thinking about what I could say about the Rite of Parent Divination and Shemsu Naming that isn’t just the same old ‘define the rite and then talk about my experiences’ schtick. It’s hard, because it is such an emotional experience, and I really do love talking about it. It’s been done to death, however, so I’ll just save it and give you the synopsis. About four years ago, I underwent the Kemetic Orthodox ritual of the Rite of Parent Divination. This ritual is a divination meant to determine the deity (or deities) who are the spiritual Parent(s) and Beloved(s) of a person. The role of the Parent and Beloved deities varies from person to person, but the majority of people honor their Parent(s) as patron(s) and their Beloved(s) as some kind of auxiliary patron(s). My RPD validated in a huge way many of the experiences I’d had. 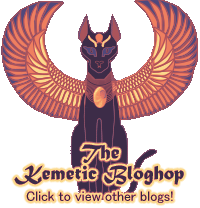 I was divined as a child of Wepwawet and Sekhmet-Mut, beloved of Bast and Nut, and got a strong but neutral message from my ancestors. Then, a few weeks later, my Shemsu Name was publicly revealed to be Sobeqsenu. So much emphasis is put on learning one’s ‘lineup’ (a very silly word to use) and one’s name that the rite of passage aspect of these rituals is pretty well ignored, in my opinion. At their heart, I think the function of the RPD and Naming ritual is not just to spit out data, but to connect the candidate with three previously unlinked worlds: the ancestors, the gods, and the living Kemetic Orthodox community. 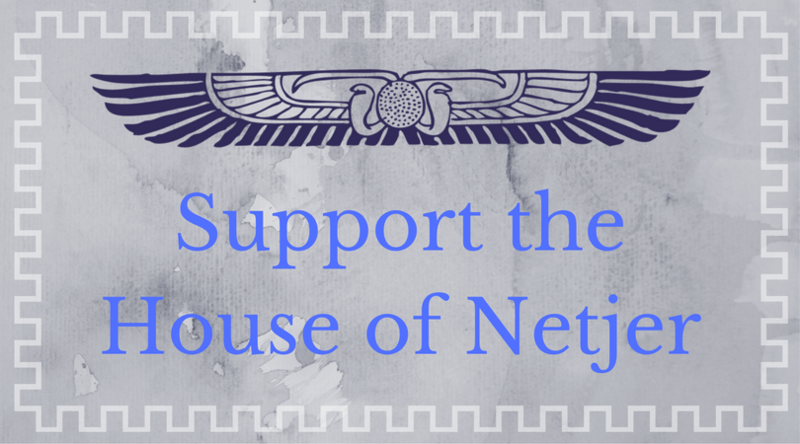 The RPD provides a framework for communication with the dead and with the Divine, while Naming provides a formal welcome amongst the Shemsu, the followers of Netjer. Some people who have gone through these rites remark that they feel more ‘tuned in’ to the Unseen world afterwards, and I think that on many levels that’s what the RPD does. It is like installing a three way phone line in your head. I placed an enormous amount of weight on the information gained during the RPD. Don’t get me wrong, it’s important. For me, it revealed the framework underneath my identity – explained parts of me that I never understood or explored. But at the time I never considered the implications beyond that. Now as I was ruminating on my experiences with the initiatory process, I have come to the realization that I was given much, much more than just Gods to worship or a new nickname to use. Previous Post Why, God, Why? Part 2: Oh, THAT’S Why. I find it very surprising, even now, how little is made of the akhu reading. You never hear people asking “what did you ancestors say?” Mine was rather personal, and a lot better than I would have expected, though I am still waiting for some things to happen which they mentioned all those years ago. What I did learn from my actual RPD, a lesson which still has not sunk in: I sell myself short and don’t have any real idea of what my potential capabilities are. Very well written. I agree with all that you have said.